11 boys to go and study abroad. When Christianity came to Uganda, the missionaries combined it with education. Not only did they want to teach their converts religion, but also other matters. 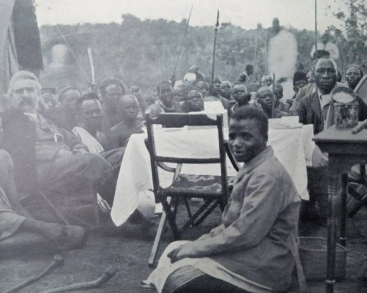 When the Roman Catholic Church missionaries set foot in Buganda, one of their leaders, also known as the founder of the Catholic Church in Buganda/Uganda, Léon-Antoine-Augustin-Siméon Livinhac, took it upon himself to expose some of his converts to further foreign education. In 1890, a group of 11 Baganda Roman Catholic youth converts were handpicked by Bishop Livinhac to go and study abroad. They had to trek from Uganda to the East African coast, weathering life on the sea to get to Europe on a journey that lasted nine months. The 11 boys set off on the grilling journey to France, then Rome and finally to Algiers, where they were separated, with others going to Malta. The 11 boys are also believed to be the first Ugandans to go to Europe and the first to have met the head of the Catholic Church. To get to their final destination, they went through Paris, Rome and then Tunisia. While at Lyons in France, one of the boys, Leo Lwanga, describes the experience of having his photograph taken for the first time in Europe. His account was first published in Uganda by the Uganda Argus newspaper in its independence supplementary issue of October 9, 1962. “Then he hides his head in the black cloth, in which the box is clothed, and then he brings a paper holding it, also hidden in under the cloth. May be he feared that those who were there will learn how to make the pictures. The group’s first European destination was Paris, where they arrived in September 1890, nine months after leaving Buganda. “We were allowed one month of rest in Paris. Some of us were sick, not being used to the food, and the weather. We were being looked at the way we looked at the whites when they first came to our land. After a month in Paris, we went to Rome, where we met Pope Leo XIII,” Lwanga narrates. According to the 1908 entry in the Catholic information archives, it is stated that the 11 boys were destined to go to Carthage in Tunisia, where the Roman Catholic Church had opened an Institute in 1876. The institute was founded with the sole purpose of training young Africans. It was founded by Cardinal Lavigeria, the founder of the White Fathers’ mission. Of the 11 boys, seven followed the Pontiff’s suggestion to the letter by joining the White Fathers’ training base in North Africa. Among those who took to priesthood was Tobie Kizza, who happened to be the last surviving member of the group, dying in 1961 at Virika Cathedral in Kabarole District. “Other boys went to Malta to train as medical doctors. But before they could finish their course, the institute was closed and they were transferred back to France, where they completed their training. Those who opted for priesthood stayed in Carthage and were trained at the White Fathers’ mission. THE REAL BEGINNING OF THE TRANSLATION OF THE AFRICAN LUGANDA(GANDA) LANGUAGE INTO ENGLISH AND THEN INTO ALL THE OTHER WIDELY SPOKEN LANGUAGES OF THE WORLD. THIS LUGANDA(GANDA) LANGUAGE IS WIDELY SPOKEN IN THE COUNTRY OF UGANDA AND THE SURROUNDING COUNTRIES OF KENYA, TANZANIA, RUANDA AND BURUNDI, THE CONGO AND SUDAN. THIS AFRICAN NATIVE LANGUAGE HAS THE SUPPORT OF THE UNIVERSITY OF MAKERERE AND THE REST OF THE MANY UNIVERSITY COLLEGES IN THE COUNTRY. INDEED IT IS A MAJOR DEGREE STUDY IN SOME OF THESE LOCAL INSTITUTIONS. Click on the information below for more. AVAILABILITY. Order on Amazon.co.uk or Amazon.com. Go to the ‘Books’ section and type ‘Luganda dictionary’. Find this dictionary listed among others. It has a grey patterned cover with red writing. Price: £19.50 (UK), $24.00 (USA). DESCRIPTION: This two-way Luganda-English and English-Luganda dictionary, with over 10,000 Luganda and 8,000 English entries, offers an easy guide to translating commoner words and concepts between the two languages. There are numerous examples of usage. The six-person team responsible for its compilation include a former Minister of Culture (Kingdom of Buganda) and the former Secretary of the Luganda Language Society. There are forewords by His Majesty the Kabaka (King) of Buganda and the Secretary of State for Education. Assistance is provided to readers to locate Luganda entries, necessary because of the changeable nature of the beginnings of many Luganda words. The equivalence of parts of speech in Luganda and English is explored, and there are over 40 pages on Luganda grammar. Vocabulary associated with certain features of Kiganda society and culture is covered in extra detail such as social structures, religion, music, agriculture, food, backcloth manufacture, basketry, and healthcare and medicinal plants. There are lists of historic kings, traditional counties, and clans and totems. An outline of the history of the Luganda language is presented. The scientific names of over 300 types of plants are given, together with their Luganda equivalents. Book size: 254 x 178 mm (10 x 7 inches), 432 pages. Paperback. OBUKADDE 169 bwe bwakung’aanyizibwa mu misinde gy’okukuza amazaalibwa ga Kabaka omwaka oguwedde nga ku buno obukadde 50 bwaweebwayo mu ddwaaliro e Kitovu okuyambako mu kujjanjaba abakyala abaalina obulwadde bw’okutonnya. Minisita w’ebyobulamu mu Gavumenti ya Buganda, Dr. Ben Mukwaya agamba nti abakyala 83 be bajjanjabibwa nga ku bano 77 baalongoosebwa ne baddamu okubeera mu bulamu obweyagaza era basobola n’okuddamu okuzaala obulungi. “Abakyala abali wakati wa 18,000 ne 20,000 be basuubirwa okubeera n’obulwadde buno mu ggwanga era nga bangi balemererwa okufuna obujjanjabi olw’okwetya nga kiva ku mbeera gye babeeramu. Ekirala obujjanjabi bwa bbeeyi kuba omukyala okujjanjabibwa n’atereera kyetaagisa obukadde obuli wakati wa busatu ne butaano”, Dr. Mukwaya bw’agamba. Akubiriza abakyala okujjumbira okuzaalira mu malwaliro n’okwewala bamulerwa abatasobola kumanya mbeera ya mwana gy’alimu mu lubuto ekivaako okuyulika nga bazaala ate nga tebasobola kubajjanjaba. Sr. Rita Wanyanze owa Mukwaya General Hospital, agamba nti wabaddewo obuzibu bw’abasawo abakugu mu kujjanjaba obulwadde buno wabula mu kiseera kino bakwataganye n’abakugu okuva mu Ethiopia naddala okuyamba mu kutendeka abasawo abaliwo okufuna obukugu mu bulwadde buno. Obuzibu buno buva ku bawala okuzaala nga bakyali bato, obutafuna buyambi bw’abakugu mu kuzaala, obuteerabirira bulungi ng’omukyala ali lubuto, amawanga agasala abakyala ebitundu byekyama n’ebirala. Dr. Mukwaya agamba nti olw’obuzibu bw’obulwadde buno, Gavumenti ya wakati etaddewo ofiisi ey’enjawulo mu minisitule y’ebyobulamu okukola ku bakyala abalina obuzibu bw’okutonnya. Ate Mmengo egenda esomesa abantu mu bitundu eby’enjawulo ku by’obulamu. The Buganda Kingdom education minister, Hajj Abbas Kawase, has cautioned teachers against punishing students for speaking vernacular [Luganda] at schools. “We would like to caution all teachers who punish students for speaking Luganda at schools to stop,” Hajj Kawase said. “We studied Luganda during our days at school, aren’t we better products compared to students produced nowadays?” he questioned. Addressing the 26th Uganda Muslim Teacher’s Association (UMTA) convention last Saturday, Mr Kawase said Luganda as a subject taught in classes, should be like any other medium of interaction among students at school. Government recently introduced a new thematic curriculum policy dictating that during the first three years of primary education, pupils must be taught using their mother tongue as the medium of instruction, with English taught as a separate subject, before switching to English as a medium of instruction in year four. With more than 50 ethnic groups in Uganda, each with its own dialect, the policy was rooted in the idea that children pick up foreign languages more easily if first grounded in their mother tongue. Prior to the policy change, English was the official language of instruction in all school years. Mr Kawase said punishing a student for speaking Luganda is illegal given that the Constitution of Uganda has never criminalised vernacular. “Such schools’ policies banning students from speaking a language they are taught in class, we won’t tolerate them,” he warned. “Besides, in actual sense these languages help students to comprehend subjects more than in foreign languages,” he argued. 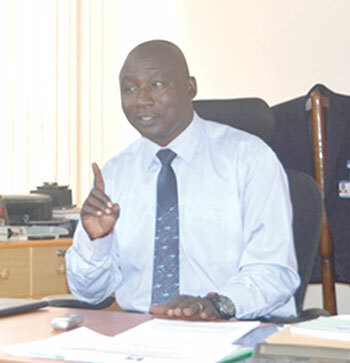 Hajj Bruhane Mugerwa, the Kawempe Muslim Secondary School head teacher and the chairperson UMTA National Executive Council, urged schools to promote vocational studies as one way to promote hands-on-skills to help curb the high unemployment in the country. The convention brought together Muslim teachers from across the country. Bingi ebiraga nti enkulaakulana ya Uganda tekyasobola kudda mabega n’akatono bw’osinziira ku maanyi g’emisingi egy’enjawulo egyegatta awamu okuleetawo enkulaakulana y’eggwanga. Eggwanga ery’abantu obukadde 37 ku kawumbi akalamba n’obukadde 150 obw’abantu abali mu Africa (okusinziira ku muwendo gw’abantu bwe guyimiridde mu mwaka 2015), enkulaakulana mu Uganda ereeteddwaawo emisingi egikwataganira awamu mu bitundu eby’enjawulo eby’eggwanga ng’ewagirwa Gavumenti eriko obutafaananako bwe gwali emabega embeera y’enkulaakulana bwe yali embi mu ggwanga. Enkulaakulana ya Uganda nga muno mwe muli ensuubulagana eyaabulijjo n’eyo eyeesigamye ku tekinologiya/yintaneeti. Ng’okusuubulira ku yintaneeti ku ‘bibanja’ nga Kaymu tekunnajja, omuguzi owaabulijjo mu Uganda yalina ebifo n’ebizimbe ebiwerako aw’okugula ebintu eby’ebika eby’enjawulo – ebyonooneka amangu n’ebitoonooneka. Ebbanga si ddene bukya bantu batandika kufuna ku ssente ezeegasa okusobola okuba n’obusobozi obwetuusaako ebyetaago by’obulamu obwabulijjo naye emabega nga bagagga na balambuzi okuva ebweru be bagula mu supamaketi z’omu bibuga mu ggwanga okuli n’ekibuga ekikulu Kampala, ebintu omuli eby’okwejalabya n’ebyamaguzi ebyabulijjo gye bitundibwa gamba ng’ebyamasannyalaze, ebyokulya (ebirime), ebyokwambala n’ebirala. Abalambuzi nga be bokka abettanira ebitundibwa ebyaffe wano gamba ng’emikeeka gy’omu Buganda, ebibbo n’obusawo obuluke, eby’okwewunda ebyekifirika ng’ebikomo, emikuufu n’ebiri ng’ebyo ebyalabibwanga nga biteereddwa ku makubo, ssaako okwettanira ebiruke n’amaduuka ku kisaawe ky’ennyonyi agatunda ebintu ebitawoozebwako musolo. Olwo nno nga mu byalo n’obubuga obutonotono ebyamaguzi ebyonooneka amangu gye byatundibwanga awamu n’ebyetaago by’obulamu obwabulijjo gamba ng’ebyokwerongoosa n’ebizigo, ng’obutale bw’omu buulo nga be baana baliyo. Awo ng’omuntu yeetegeka n’olukalala lwe olw’ebintu by’anaagula mu katale n’alinda olunaku lwe kanaabeerawo. Wabula ng’okugula n’okutunda kimala obudde n’ebiseera wamu n’amaanyi kyokka nga tewali kya kukola anti nga y’engeri yokka mu biro ebyo omwalinga muyitibwa okugula n’okutunda nga tewali magezi malala. Mu bitundu bingi eby’olukalu lwa Africa omuli ne Uganda, yintaneeti y’oku ssimu eyongera okwettanirwa obutafaananako bwekiri ku yintaneeti y’oku kompyuta. Okutwaliza awamu, yintaneeti egenze ewamba mpolampola era kibalirirwa nti abantu abasukka mu 8,500,000 be bagikozesa ekitegeeza nti bali ebitundu 23 ku kikumi eby’omuwendo gw’abantu mu ggwanga omwaka 2014 we gwatuukidde mu makkati. Olw’obwangu mu nkozesa n’okuba nga buli w’oli otambula n’essimu, kyanguyirizzaako yintaneeti y’oku ssimu okwettanirwa mu Bannayuganda bangi abaagala okuwuliziganya ne mikwano gyabwe nga bayita ku mikutu nga Facebook ne Twitter. Olw’omuwendo gw’abakozesa yintaneeti y’essimu mu Uganda ogweyongedde nga kivudde ku kwongera amaanyi mu kuyunga ebitundu eby’enjawulo ku mutimbagano, kyeraga lwatu nti okusaasaana kwa yintaneeti mu ggwanga kwa kweyongerera ddala n’amaanyi mu myaka egijja. We twogerera, yintaneeti eya sipiidi eya waggulu (broadband) ku maanyi ga 3G ne 4G egenda ebuna buli wantu era abantu egenda ebakwata omubabiro naddala abo abasobola obulungi okwetuusaako ebyetaago by’obulamu obwabulijjo mu bibuga ebikula nga Kampala. Okuyigiriza Bannayuganda ebyakompyuta naddala abaana b’amasomero kye kyandisinzeeko ssinga wabaawo amasannyalaze agamala ate n’ebizibu ebirala ne bikolwako gamba nga emiwendo okugulirwa yintaneeti egiri waggulu, bannabyabufuzi/abakulembeze obutafaayo kuzimba bikozesebwa ebya tekinologiya eby’amaanyi n’okisookera ddala eky’okutuusa kompyuta mu masomero eri abayizi okusomerako ebyakompyuta. Mu Africa, sipiidi yintaneeti kw’esaasaanira okutuuka mu maka g’abantu ekyali wansi nnyo ng’amaka 11 gokka ku buli kikumi mu Africa ge galina yintaneeti mu nnyumba. Ensuubulagana y’oku yintaneeti ezingiramu okugula n’okutunda ebyamaguzi n’empeereza okuyita ku mikutu gya yintaneeti y’oku ssimu ne ku kompyuta. Mu ngeri ennyangu kwe kugula n’okutunda ng’omuntu ayitira ku yintaneeti. Mu myaka egiyise, ensuubulagala y’oku yintaneeti ebadde ezing’amizibwa lwakuba nti yintaneeti ebadde mbi era nga tennasaasaana bulungi mu Uganda bw’ogeraageranya n’amawanga ga Africa amalala. Wandisuubidde nti omwaka 2015 we gwandituukidde, okusinziira ku kweyongera kwa yintaneeti mu ggwanga-okusingira ddala ey’oku ssimu, nga eby’ensuubulagana ku yintaneeti biri waggulu; naye ebyembi biri wansi kuba Uganda eri bubi mu kiti kino eky’enkulaakulana. Ekitongole ky’Ebyempuliziganya mu Uganda (UCC) kikirambika ng’abali ku yintaneeti y’oku ssimu mu ggwanga (we lwatuukira nga June 2012) nga baali abantu akakadde kamu n’ekitundu ne balinnya okutuuka ku bantu obukadde buna (4) n’emitwalo 10 mu mwaka 2014 nga kino kirungiko era abakugu bateebereza nti omuwendo gugenda kweyongera mu myaka egijja. Era mu mwaka gwe gumu ogwa 2012, abaali bakozesa yintaneeti y’oku kompyuta baali 92, 000 era omuwendo ne gulinnya okutuuka ku 106,900 mu 2014. Bwe tufuba okwongera ku miwendo gino, yintaneeti mu byobusuubuzi egenda kweyongera okweyambisibwa mu katale n’okukula mu Africa. Ebirina okukolwako mwe muli okulongoosa eby’ensasula n’entambuza y’ebitundibwa, emiwendo gya yintaneeti okukka, okufuula yintaneeti eyeesigika n’enteekateeka za Gavumenti ennungi. Mu buufu bwe bumu, abantu (abagula n’abatunda) balina okusomesebwa emigaso egiri mu kugula n’okutundira ebintu ku yintaneeti, amagoba/emiganyulo egikirimu n’okubabuulira nti yintaneeti yeesigika era nnungi ekimala okukolerako bizinensi. Okwongereza kw’ebyo, nga kati bwe waliwo abeenyigidde mu busuubuzi buno gamba nga; OLX, Dondolo, Remdak, Kaymu, Home Duuka, TakeAwayUG ne Jumia ssaako abalala bangi, era ng’ensimbi nnyingi zissiddwaamu, kyeragirawo nti ensuubulagana oba okugula n’okutundira ku yintaneeti kugenda kweyongera era kufuuke okw’omuzinzi. Wadde okuyambibwako okuva mu mawanga g’ebweru kukendedde, enkulaakulana ya Uganda ebadde nnungiko olw’emisingi gy’enkulaakulana egyeyongedde amaanyi. Mu lipoota eyafulumizibwa ekitongole ky’ensi yonna ekiwozi kya ssente (IMF), enkulaakulana y’eggwanga ewa essuubi era erina okweyongera ng’omwaka gw’ebyensimbi 2015-2016 tegunnaggwaako n’ebitundu 5.8 ku buli kikumi eby’ebintu ebifulumizibwa n’ebikolebwa mu ggwanga bw’oba obibaliridde mu nsimbi. Guno omuwendo munene ku gw’ebitundu 4.5 ku buli kikumi mu mwaka gw’ebyensimbi 2013-2014. Egimu ku misingi egivuddako enkulaakulana eno ekweyongera by’ebyobusuubuzi omuli eby’oku yintaneeti n’ebitali bya ku yintaneeti. Bizinensi z’oku yintaneeti zikolerwa ku kompyuta oba essimu obutafaananako ne bizinensi ezaabulijjo omutali kukozesa yintaneeti y’oku kompyuta oba essimu. Obusuubuzi obwabulijjo buzingiramu okussaawo edduuka oba ekifo aw’okutundira, okukola ku bakasitoma maaso ku maaso, attending to shoppers face to face; okusasulirawo mu kaasi mu kifo ekyo n’obudde obwo bwennyini ekintu we kiba kiguliddwa, okusimba layini mu matundiro ne supamaketi, okussa amasa n’ebikozesebwa mu kifo awatundirwa, n’ebirala ebiteekeddwa okubaawo okusobozesa ensuubulagana okubaawo. Wabula obutafaananako na nsuubula eyo waggulu, yo ey’oku yintaneeti teyeetaaga kusisinkana muntu maaso ku maaso okutuusa ng’ebitundibwa bimaze okuweerezebwa gye biraga. Wano nga bituusiddwa, okugula n’okutunda we kukomekkerezebwa ng’omuguzi asisinkanye atunda. Amaanyi n’ebiseera ebyonoonebwa mu nsuubula eri eyaabulijjo (eteri ya yintaneeti) byewalibwa mu kusuubulira ku yintaneeti sso ng’ate mmwo era mulimu n’okutuuka ku katale akagazi munda mu ggwanga n’ebweru, obusuubuzi busobola okukolebwa obudde bwonna (essaawa 24 ku lunaku lwonna olwa wiiki), enkangaga z’ebitundibwa eziwerako, obwangu mu kunoonya ebitundibwa okuyita ku mutimbagano, n’okwewala eby’okusimba layini empanvu. Wabula abantu bangi bagamba nti ensuubula eri eyaabulijjo eteri ya yintaneeti nnungi kuba yo okwatirako ddala n’okulaba ekintu ekigulibwa okusinga lw’okozesa yintaneeti n’osigala ng’oteebereza buteebereza omutindo oba mulungi oba mubi. Kyokka wadde ekyo kiri bwekityo, okugula n’okutundira ku yintaneeti tekubuusibwabuusibwa nti kwe kusinga obwangu era okuyinzika mu mbeera ennyanguko. Eri abatundira ku yintaneeti, batuuka ku baguzi butereevu; emiwendo egikikola giri wansi kuba tekyetaagisa kusooka kussaawo dduuka, n’ekirala ebizibu ebiri mu kutuuka w’otundira bibabigonjoddwa. Obusuubuzi obw’ebiti byombi (obw’oku yintaneeti n’obutali bwa yintaneeti) bulina kye bwongedde ku nkulaakulana ya Uganda mu ngeri emu oba endala, era olw’okuba ng’ebyobusuubuzi bw’oku yintaneeti mu ggwanga bikyali wansi, abakugu mu byenkulaakulana n’ebyenfuna bateebereza nti bijja kugatta kinene ku nkulaakulana y’eggwanga mu myaka mitono mu maaso kuba gwe gumu ku mikutu egiyinza okuyitibwamu okutuuka ku nkulaakulana. Mu ngeri eyo, okwesigama ku busuubuzi bw’ebyamaguzi mu nkola enkadde kukendeezebwa kinene nnyo ate enkulaakulana esigale ng’egenda mu maaso. Kikulu nnyo okumanya nti okweyongera mu nsuubulagana y’oku yintaneeti, bizinensi nnyingi zijja kumerukawo gamba ng’okuva ‘ebibanja’ eby’okutundirako okugeza Eye Trade tebyetaaga ssente nnyingi okutandika. Ekirala, emirimu mingi gya kutondebwawo. Bannannyini bizinensi mu ggwanga (wadde si bonna) balina okutunula mu ngeri gye bakolamu era olw’obutasigalira mabega, beeyunge ku nkozesa ya yintaneeti mu busuubuzi. Mu ngeri y’emu, abategeka okutandikawo bizinensi nabo bakubirizibwa okwegatta kun kola y’emu baganyulwe mu birungi ebiri mu kukola bizinensi nga weeyambisa yintaneeti wakati mu kuyambako eggwanga okukulaakulana. Ng’ebisoomooza byonna eri obusuubuzi bw’oku yintaneeti bimaze okukolwako ne bivaawo, okugeza ng’enneeyunga ku yintaneeti ekyali embi, obutamanya nkozesa ya kompyuta n’ebyuma bikalimagezi n’enkola za Gavumenti ezeekiika mu kkubo lya yintaneeti; awo bizinensi y’okugula n’okutundira ku yintaneeti ejja kuba eyogerwako ng’enneetegefu okutuusa eggwanga ku biruubirirwa by’enkulaakulana yeegombese n’amawanga ga Africa amalala. Olw’okuba obusuubuzi bw’oku yintaneeti bugenda bukula era nga n’ensimbi ez’okubusigamu zikyeyongera okujja, waliwo essuubi lya maanyi nti wajja kubaawo okusenvula okuyise mu mitendera okw’ensuubulagana evudde ku kika ky’obusuubuzi obw’edda (obutali bwa yintaneeti) okudda ku bwa yintaneeti wadde ng’era si mu bujjuvu anti kiba kyetaagisa buli kika okukwanyizibwa obulungi ne kinnaakyo enteekateeka eno ereme kubaamu bituli.